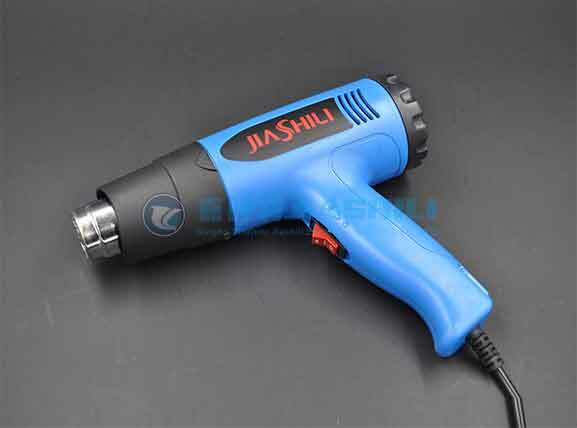 Adjustable Heat Gun is one of those items that many garages are missing. Once you have one around the shop you’d be surprised how often they come in handy! 1. Heat Shrink- I ALWAYS use heat shrink connectors and sleeves on my wiring when I wire a vehicle. 2. Removing Undercoating- Taking off old sound deadening or undercoating on a vehicle is one of my most dreaded steps of a restoration. 3. Removing old Body Filler- Stripping a car that has had filler used throughout? I like to use a Hot Air Gun with Digital Display to soften the body filler and make it easier to dig out of a hole, dent, or creased area where the previous owner “caved and paved”. 4. Installing Rubber Seals- Rubber for window glass always installs better when it’s warm. 5. Bringing new life to old bumpers-Use your Temperature Adjustable Hot Air Gun on a medium setting and slowly go over the parts with a heat gun staying 4-6 inches from the part.